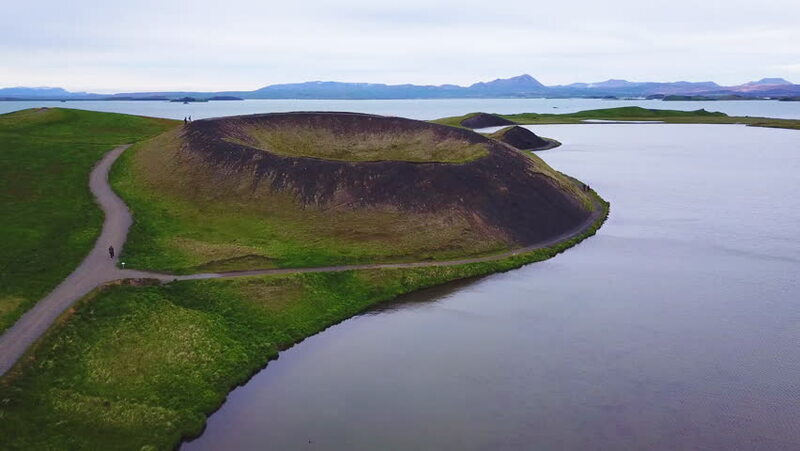 ICELAND - CIRCA 2018 - Beautiful aerial over hikers exploring volcanic cones in Lake Myvatn, Iceland. 4k00:17Aerial view of the Classiebawn Castle located on the Mullaghmore Peninsula with the Benbulbin mountain in the background in County Sligo, Ireland. 4K drone video.